Don't worry, we're not going to tell you to chuck it all out and start again. You just need Muddy's super-duper style tweaks. 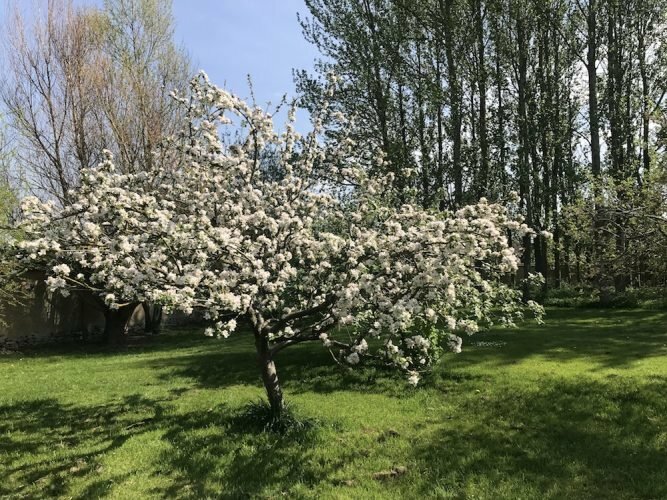 In the desperate hope that it may finally be spring, I gave my wardrobe its bi-annual spruce-up and sort-out last weekend. Out went the thermals and massive jumpers, in came the sundresses and sandals. Hey, I’m an optimist like that. It’s such a good habit to get into – pull it all out and try it all on – spending a few hours working out outfit combos will save you so much time on weekday mornings in the coming months, I promise. 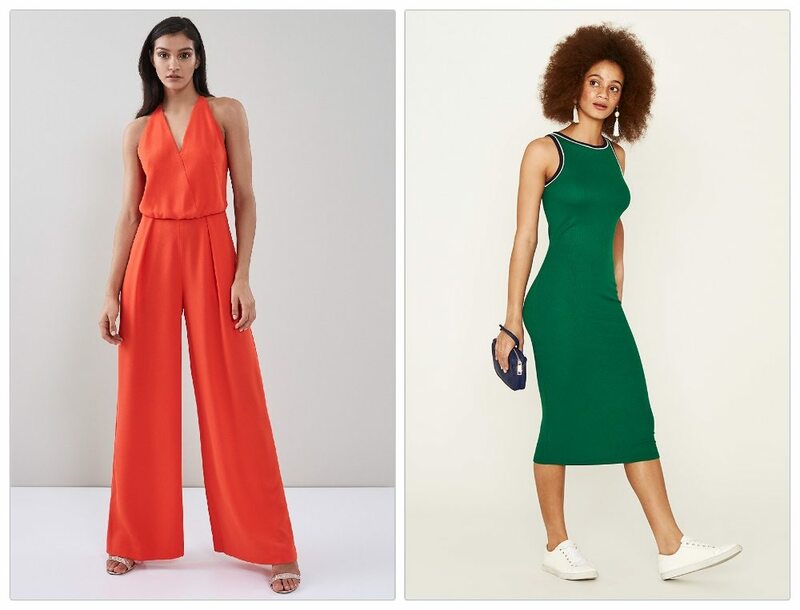 Bin anything irreparably broken, stretched, shrunk or torn; send anything you haven’t worn for a couple of years to the charity shop, work out where the gaps are – and then enjoy the fun bit of those irresistible new buys that make your heart flutter faster, turn a ‘meh’ outfit into something thrilling for SS18. OK, ready for your new season fashion tweaks? This is the quickest way to modernize your look this season. 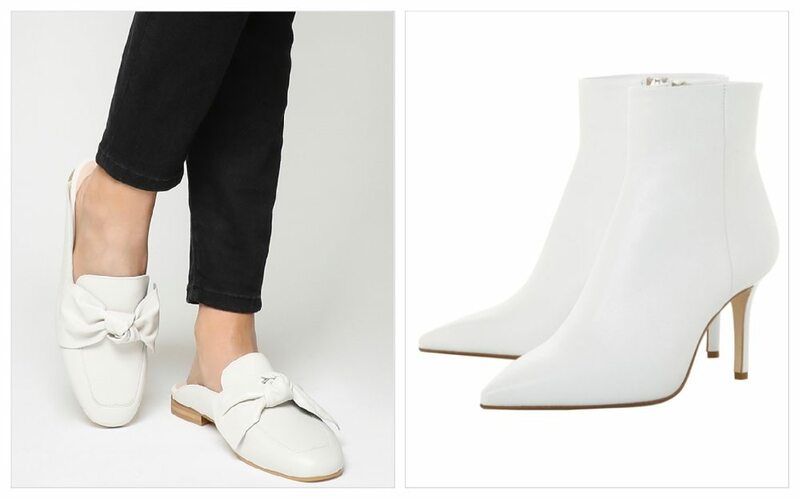 If you’ve been living in black ankle boots for the last six months, seek out a similar style in fresh, clean white. 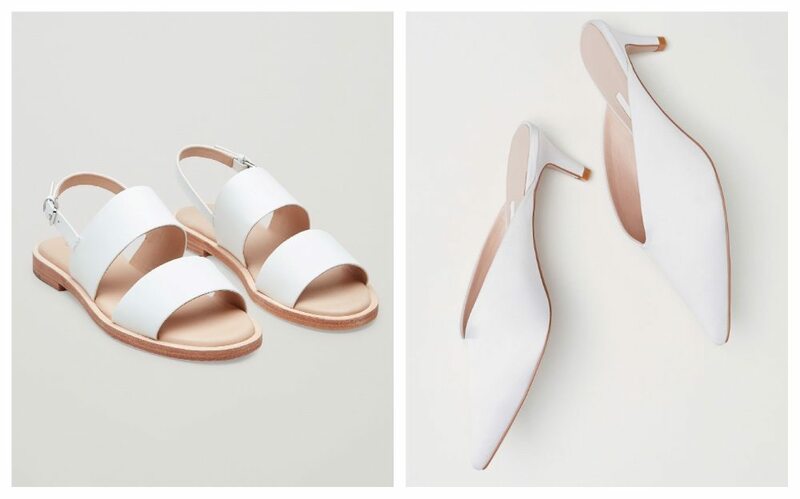 Alternatively, if your white trainers have been glued to your feet, how about experimenting with white flats, kitten heels or mules? 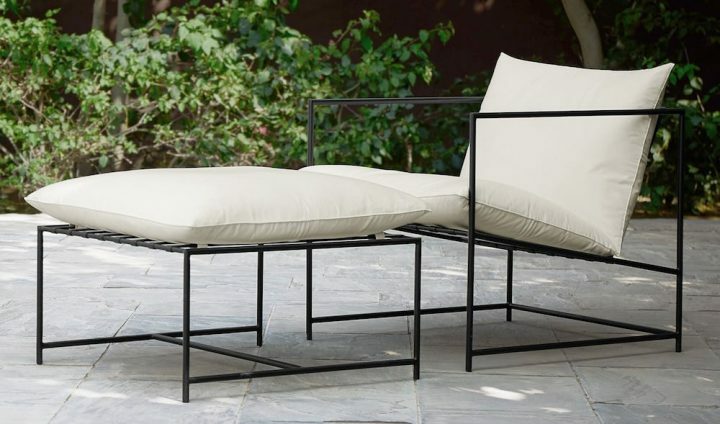 This shade looks brilliant with all types of blue denim, along with dresses, midi skirts and culottes while it’s not yet hot enough for full-on skimpy sandals. & Other Stories had a super-cool white kitten heel ankle boot in store when I was at Westgate at the weekend (although they’re not on the website) and I’m also hankering after my trusty winter Russell & Bromley black buckle boots in new-season white. (Yes they are horrifically expensive for the high street but they are in butter-soft leather, are beautifully made and the most comfortable shoes I’ve ever worn). C’mon, it’s time! Don’t be scared. After 15 long years of wearing drainpipe jeans, it can take a while to get used to a new lower-half silhouette but you can do it! Just be open-minded and try on a million different pairs until you find something you like. 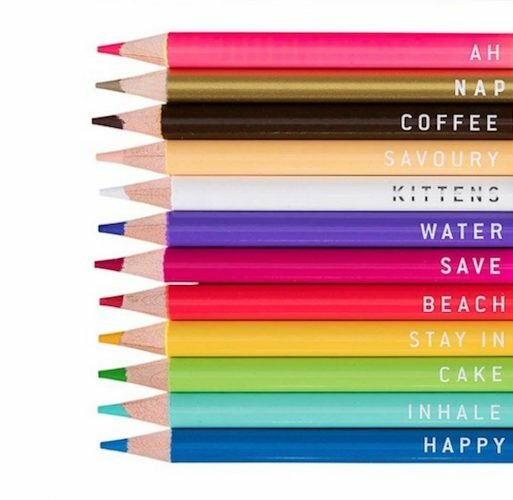 And there’s truly something for everyone this season. There’s lots of very dark indigo denim around which looks very modern (and – bonus – is a flattering shade). Or how about a denim skirt? I hadn’t worn one since the ’90s but have just nabbed a chic midi-length one which looks great with a tucked-in T shirt. 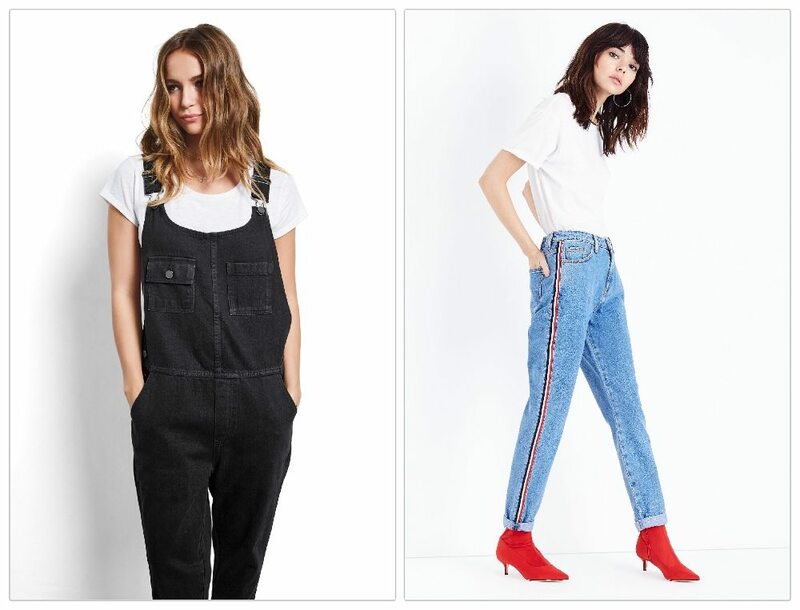 Also, don’t fear the dungaree – I’m a massive convert. Get a well-cut pair and they won’t make you look like a beach ball or a children’s TV presenter. Ditto denim culottes. 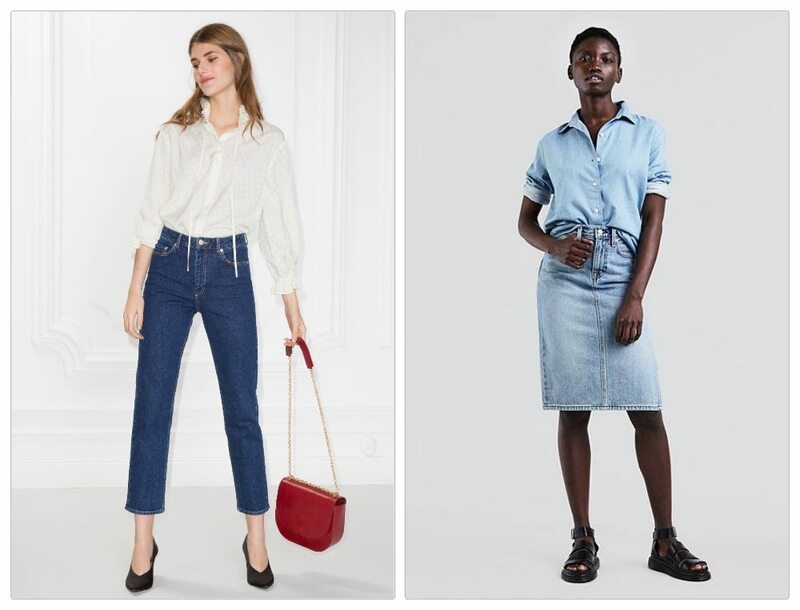 And do take a look at “mom”-cut jeans – alarming moniker, yes, but they’re slightly looser than skinnies so good for warm days and higher waisted to hold things in nicely. Add a sharp blazer and groovy pointed flats and you’ll look anything but mumsy. Talking of blazers, they are everywhere. 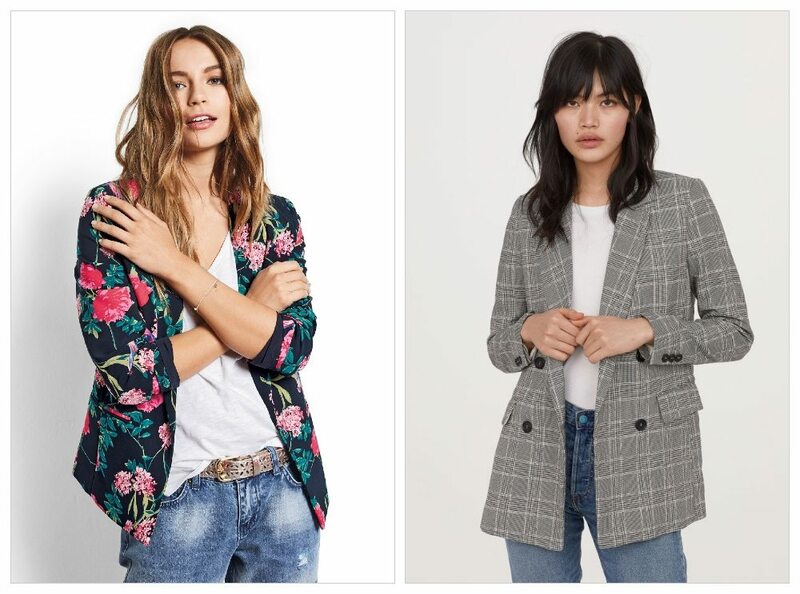 And while you’ve probably got a workwear/formal black one in your closet, a pale or bright coloured spring jacket will be your wardrobe workhorse this season. Especially if you tend to live in jeans and a T-shirt but need to look vaguely smart on occasions. 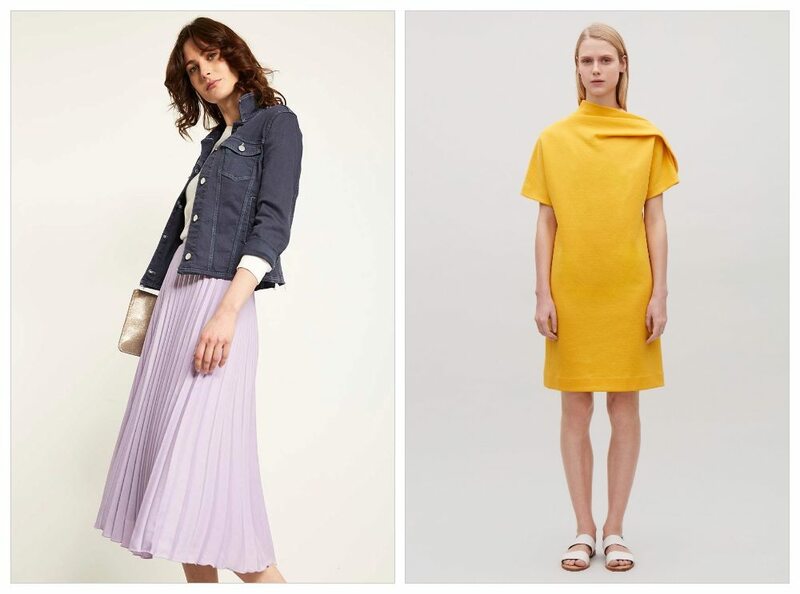 You can keep it simple with a pastel block colour (don’t wear it with a matching pencil skirt though unless you dig a mother-of-the-bride vibe), go boldly floral (I like this Hush one) or investigate a multitude of different pale checks and stripes. And if a blazer makes you feel too “board room”, wear with trainers to balance things out. Go big or go home, basically. I can’t be bothered to fiddle around much with my jewellery most days but I’m a sucker for a statement earring. 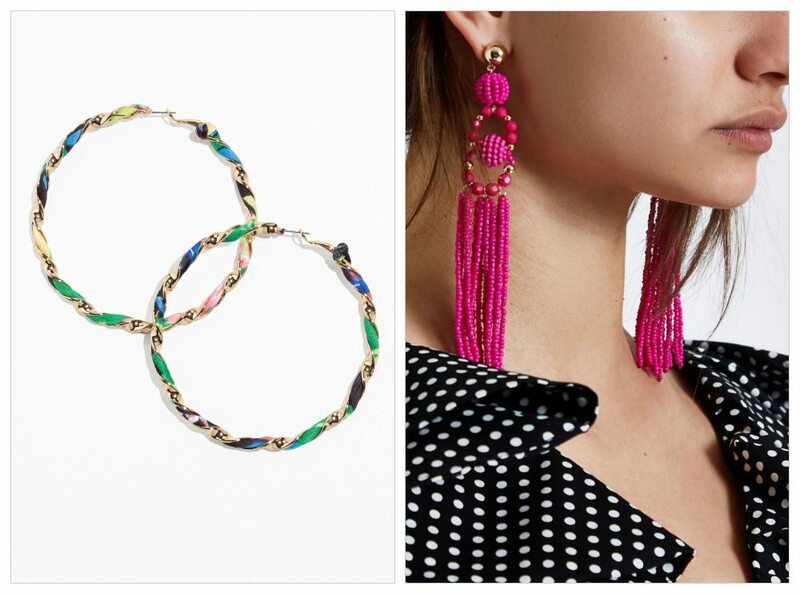 If you want to pick one accessory to show you mean business for SS18, make it these and banish all thoughts of Pat Butcher. 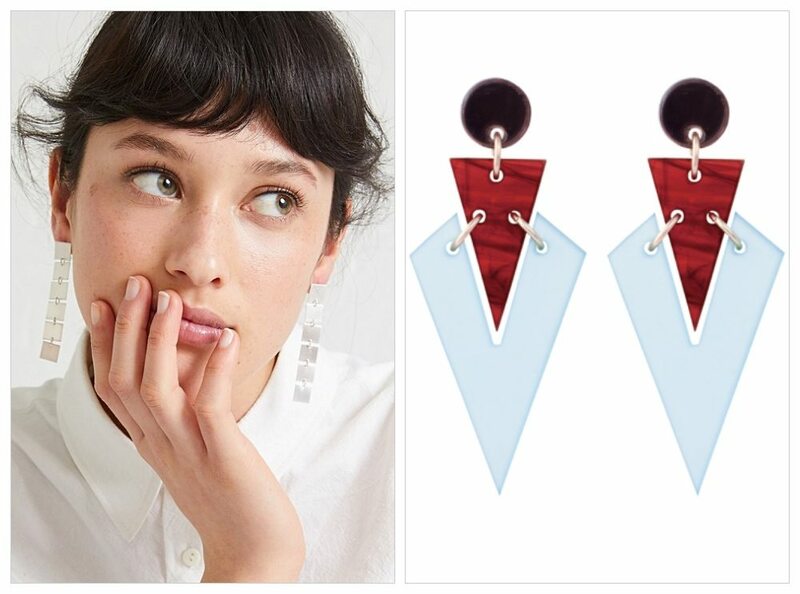 Enormo-earrings give the illusion that you’ve made a sartorial effort, even if you’ve pulled your hair back into a two-second ponytail or you’re wearing your tattiest jeans. XXXL large danglers come in all shapes this season – we’ve seen a lot of tassels over the last sixth months but if you’re looking for something fresher, head for the bold, sculptural resin ones. Personally, I’m hankering after a pair of ridiculously massive gold hoops which will make me look like Neneh Cherry (in my dreams, at least). Westgate, Queen St, Oxford OX1 1TR. Thank you, Muddy! Feel better already, as if I have done all these thing you recommend. 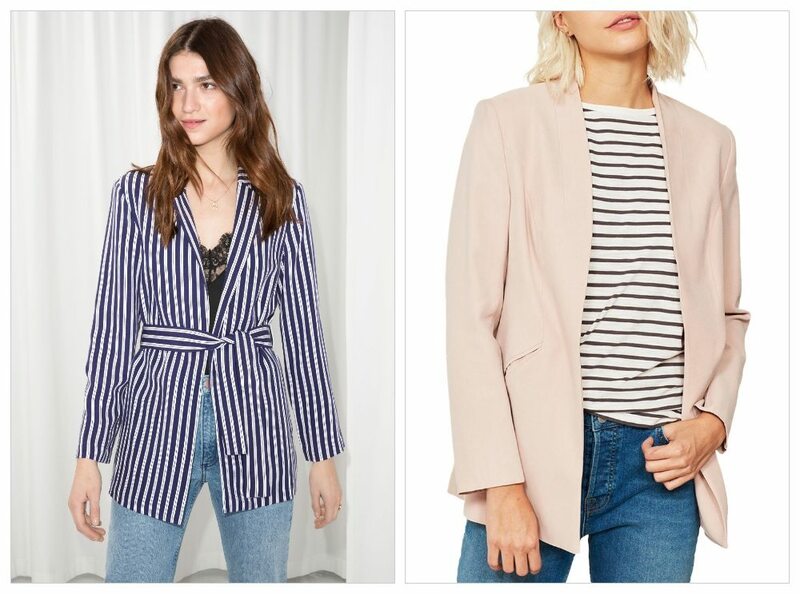 Number one is def a new blazer – far too many work ones lurking in the wardrobe. And those gorgeous hoops – I’m on my way to Westgate now….